Earrings are always one's style obsession. One can never complete a stylish look without sporting a pair of beautiful earring. So let's see what's trending now with earrings fashions. 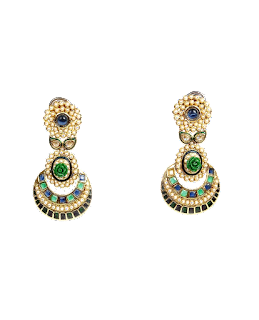 Jhumkas that hail from the ancient time are always the best way to complement any ethnic wear. The chandelier type of earring called as Jhumkas come in various forms. 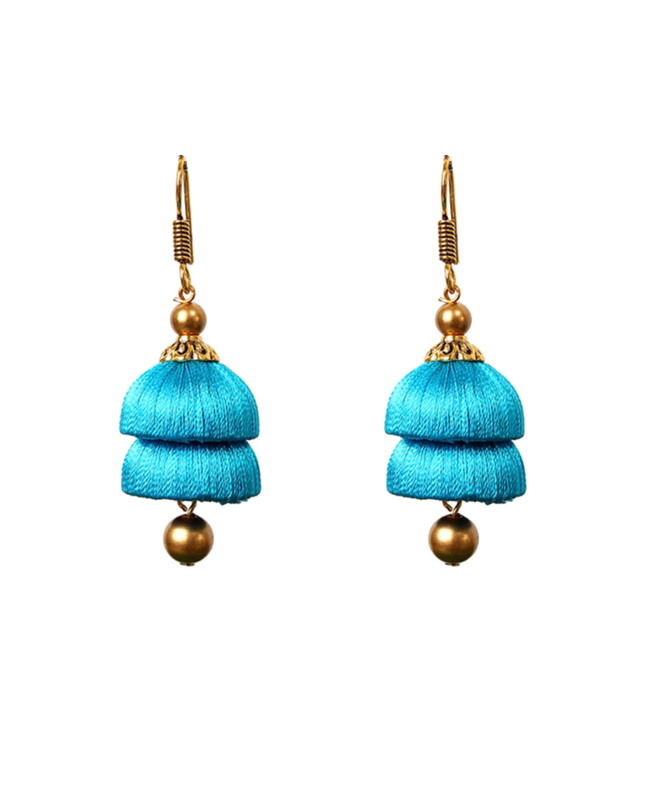 The recent trend in Jhumkas is the silk threaded ones that can be made in any color to match clothes. Stone embellished Jhumkas are also trending a lot. So it's all up to how you are going to match against your neck pieces. Though tiny teeny studs are choices of women who prefer simple jewelry, when it comes to wearing on any festive occasion, grand earrings take the front seat. The first choice for a grand wear would ideally be Chandbali earrings and Afghan earrings that are chunky in look. These types of earrings give a grand look. One can even avoid wearing neck pieces with such heavy earrings. For an earthy, antique and edgy look, oxidized jewelry can be a good pick. They can be paired with Anarkali or sarees or even salwar suits. They go well on any ethnic wear. Hoops or Huggies that are flashy to highlight your styles can also be worn on any formal wear if you want to add a twist of style to formal looking attire. A simple pearl stud or a stone stud can do justice to formal attire too. Whatever the type of attire is, Pothys houses the best of earrings for your styles. 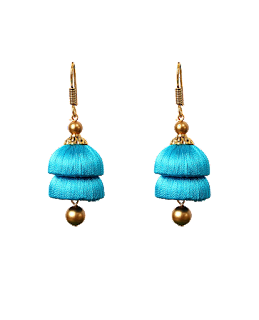 Go online and buy fashion earrings online that can give you a stunning look.